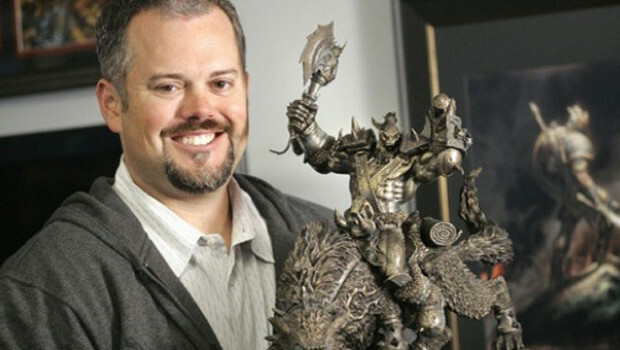 Paul Sams, formerly the Chief Operating Officer at Blizzard Entertainment, recently donated his spectacular personal collection of Blizzard memorabilia to the Strong Museum. His collection consists of more than 1,500 items that he collected during his 23 year tenure at Blizzard, from 1992 to 2015, and includes games and merchandise throughout the years dating from Blizzard’s earliest iteration as Silicon & Synapse. Examples from the collection will go on display to the public starting October 1st. The collection includes copies of Blizzard’s games, such as The Lost Vikings and RPM Racing, and the list of merchandise is exhaustive: costumes, books, figurines, plushies, pins, BlizzCon memorabilia, posters, jewelry, strategy guides, and more. One thing in particular that I found interesting is that the museum notes that a good part of the collection is from the Asian market, representing Blizzard’s success and history in China, Korea, and Taiwan. The Strong Museum is dedicated to preserving the play aspects of our history, and this donation is quite a windfall for them. Jon-Paul Dyson, director of The Strong’s International Center for the History of Electronic Games, said that the size of the collection competes with those from Atari, Microsoft, and Sierra Online, and that it shows the scope of influence World of Warcraft has had throughout the world. This led to World of Warcraft being inducted into the museum’s Video Game Hall of Fame, alongside classics such as Tetris, Super Mario Brothers, and Pac Man earlier this year.